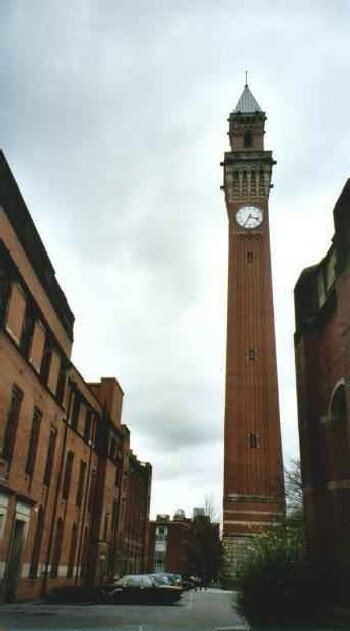 The clock tower dwarfs everything around it . . .